Matthew Sheridan Cardle was born 15 April 1983, in Southampton, Hampshire, England, to Jennifer and David Cardle. He is an English singer, songwriter and musician, best known as the winner of the seventh season of the TV series “The X Factor”. 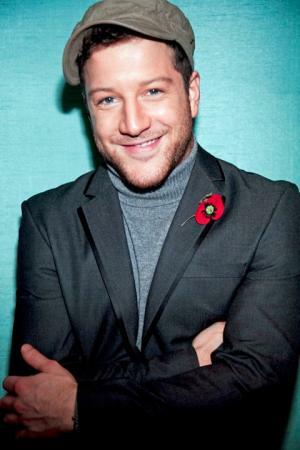 So just how rich is Matt Cardle now? According to sources, Cardle has earned a wealth over $3 million, as of early 2017, largely established during his music career, which began in 2005. Cardle grew up in Halstead, Essex, along with his older brother. When he was two years old, he was diagnosed with a rare type of kidney cancer, and had a kidney removed. He became involved in music during his teenage years, playing guitar, writing songs and taking singing lessons. Cardle attended the independent Stoke College located in Suffolk, and then took a music course at the Institute in Colchester and a media course at Braintree College. In 2005, he joined the Essex alternative rock and acoustic band called Darwyn as its lead singer; the band released the albums “When You Wake” and “Little Sunlight” in the following two years, and went on to play at various festivals, but in 2009 Darwyn disbanded, and Cardle joined a new band, an alternative and indie rock group called Seven Summers. They released a self-titled album in 2010, achieving limited success. Regardless, Matt’s net worth was established. Later in 2010, Cardle auditioned for “The X Factor’s” seventh season, and advanced to the boot-camp stage of the popular British reality television music competition after performing Amy Winehouse’s “You Know I’m No Good”, and then “The First Time Ever I Saw Your Face”. He eventually made it to the finale, under the direction of mentor Dannii Minogue, where he performed “Unfaithful”, a duet with Rihanna, becoming the show’s winner after receiving 44.61% of the vote, and subsequently earning a £1 million recording contract with Syco Music. His popularity was boosted, and his net worth started to rise. One week later, he released his debut single “When We Collide”, a re-titled cover of Biffy Clyro’s “Many of Horror”, reaching #1 on the UK singles chart in Christmas week, and by 2012, the song ad sold over a million copies, becoming the 123rd single to achieve such sales in the UK and the fourth by an X Factor contestant, giving Cardle’s career even more of a boost. In 2011 he signed a record deal with Syco Music in a joint venture with Columbia Records, and released his debut album “Letters”, selling over 70,000 copies in the first week and reaching #2 on the UK Albums Chart. The album spawned the hit single “Run for Your Life”, peaking at #6 on the UK Singles Chart. The following year, Cardle signed with So What Recordings label, a subsidiary of Silva Screen Records, releasing his second album “Fire”, which reached #8 on both the British and Scottish album charts, selling over 60,000 copies. Cardle’s second top 10 album followed the commercial success of its predecessor, significantly adding to his wealth. In 2013 his third album, “Porcelain”, came out, released independently through Absolute Marketing. The album reached #11 on the UK Albums chart, and being the singer’s first album to be released worldwide. After returning from the Porcelain Tour in 2014, Cardle began working on his fourth album, which he recently promoted on his 2016 summer tour. Meanwhile, in 2015 the singer made his West End debut, by joining the cast of “Memphis the Musical”, with the lead role of Huey Calhoun. His net worth continues to grow. When speaking about his private life, Cardle has kept it away from public view. Therefore, there is no information about his current relationship status known to the media. While at college, he was an avid skateboarder. 1 I started off playing drums and then got into the guitar because it was much cooler at the time. Drums is the most fun instrument to play, you get to hit stuff, you know? Bass, I think, comes a little bit with playing guitar. And piano, that's really it. I don't play the trumpet. 2 [on vinyl] It's nice to have something to hold onto. 3 I was at a point in my life where I wanted to find out what I was all about. I started singing and it went from there. I loved Michael Jackson, Kurt Cobain, Rage Against the Machine, Pearl Jam and Peter Gabriel. Fast Girls 2012 performer: "Starlight"